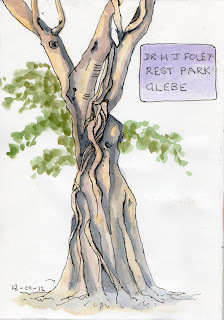 On a day that looked like rain we went sketching in the inner west suburb of Glebe. We decided we'd find cafes and just sketch what we could see. The first cafe was near the intersection on Glebe Point Road and Bridge Road so we drew the old building diagonally opposite. I was using a very fine brown Pigma Micron pen, which I have now retired as the line it makes is not distinct enough for my liking. 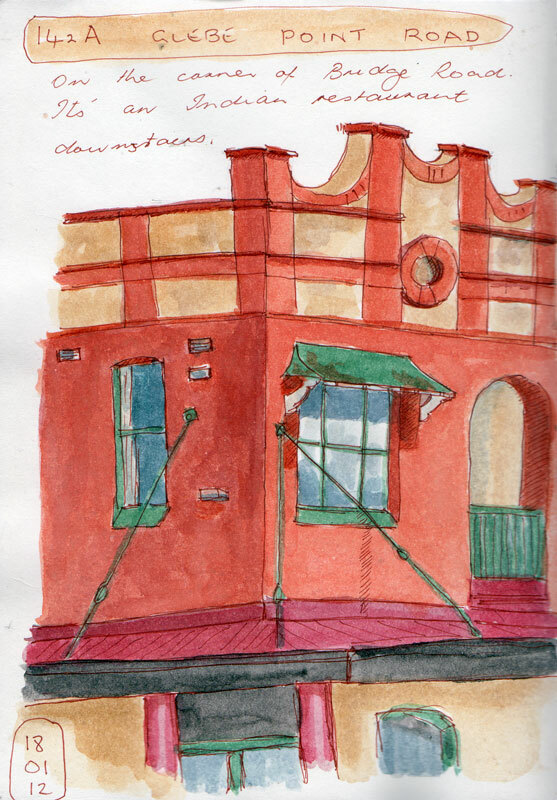 We walked all along Glebe Point Road until the shops and cafe ran out. This road leads from the western end of the city proper, down to Blackwattle Bay where I've been to draw many times. 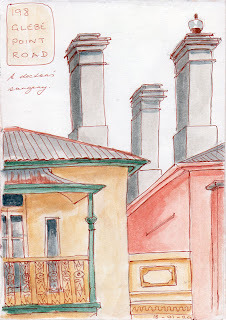 We found a cafe where we had an extremely delicious lunch ( have to go back) and also had these three chimneys opposite. I seem to be drawn to rooftops. 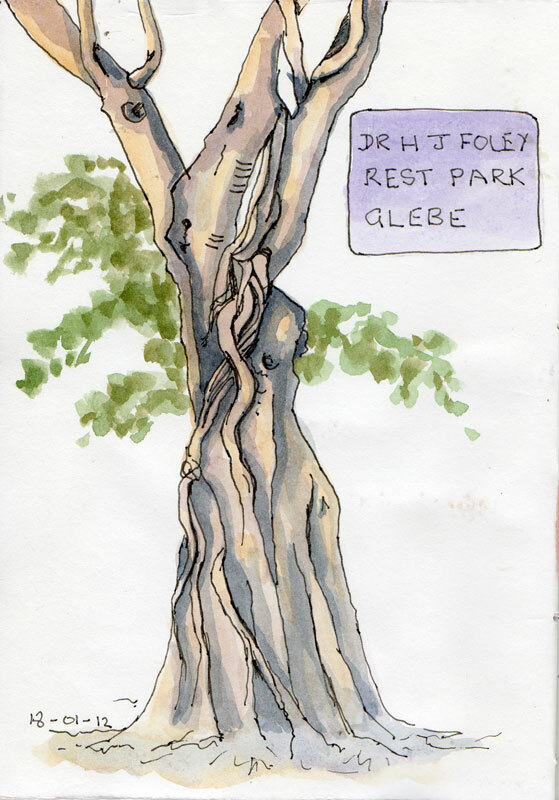 The sun had come out and after lunch we were able to cross the road and draw in the little park there , where there were wonderful old trees.